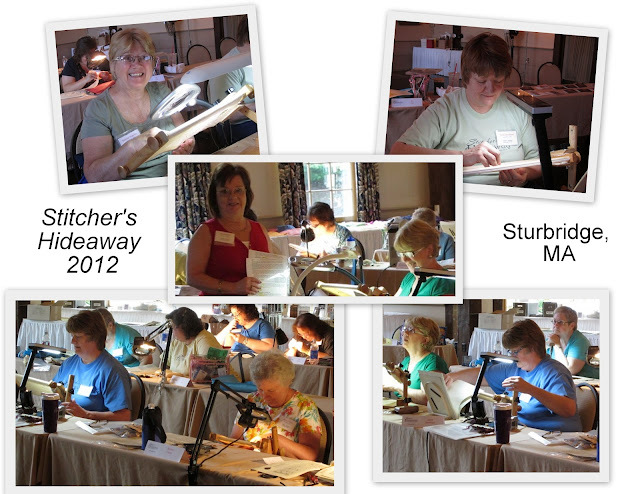 Last week I traveled to Sturbridge, Massachusetts to teach my Fruit of the Vine Sampler Huswif at A Stitcher's Hideaway. Here are a few of the photos I took. There will be lots more to follow, including photos of the Frog Bridge and my trip to the Willamantic Thread Mill. Wish I'd been there too. :( One of these days I'll make it to a class of yours!!! Just found your blog, it made me smile. Love your photos and your stitching. Have a great Sunday! It looks like a good time was had by all! Lovely work!